In this lesson, we will learn how to use ten frames to add two single-digit numbers by first making ten. 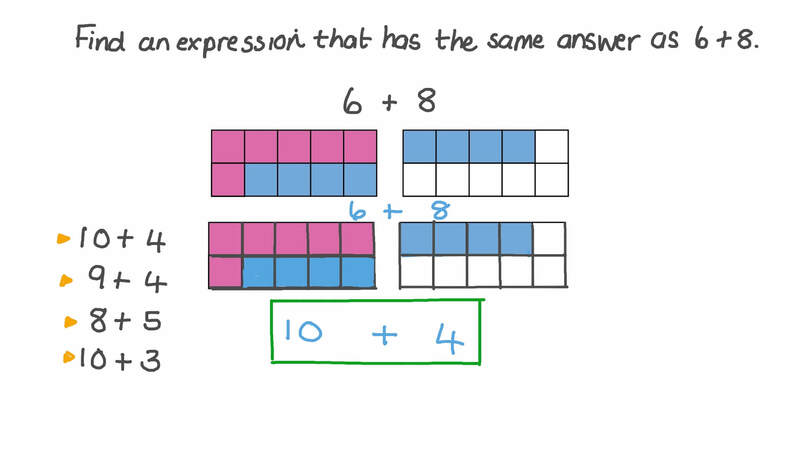 Find an expression that has the same answer as 6 + 8 . Fill in the blank: 7 + 9 = 1 0 + . 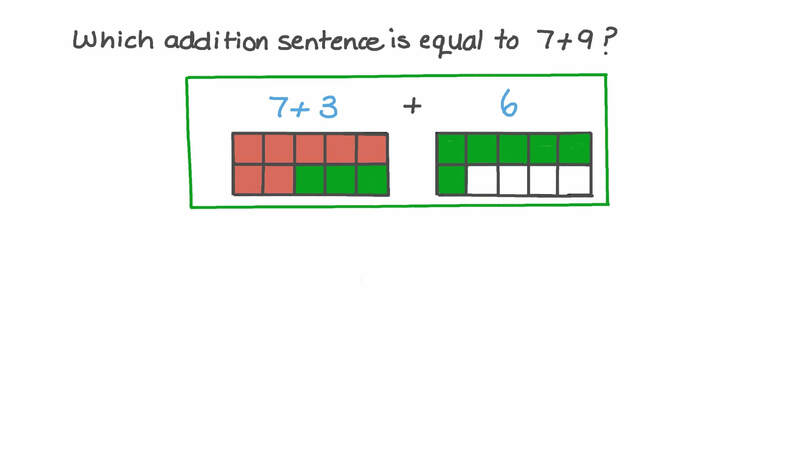 One way to make addition easier is to use addition facts that we already know. Let us try to find 7 + 8 by first making 10. We need to add 3 more to 7 to make 10. So move 3 green squares over. Now we have the same number of squares, but there are 10 in the first ten-frame, and 5 in the second. So 7 + 8 is the same as 1 0 + 5 which makes 15. Now you have a go. What is 6 + 9 ? Sherif is adding by making 10. Which calculation should he do first? Which calculation should he do next? 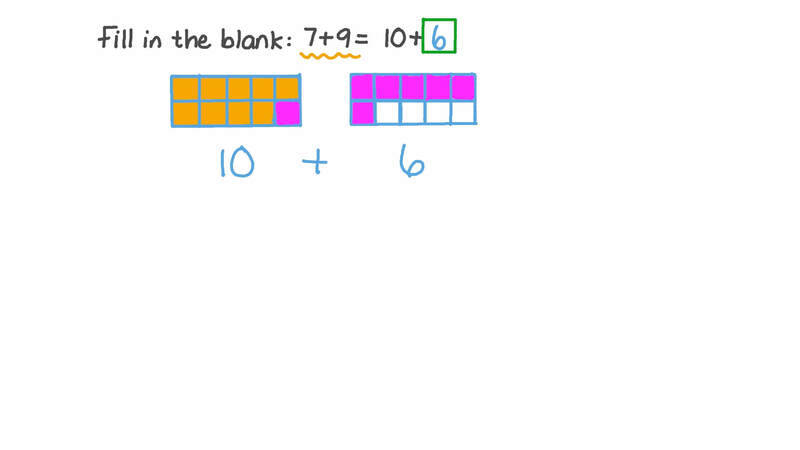 Dalia added 7 and 6 by first making 10. Now, she wants to add 8 and 7. Which number should she write in the blue circle? Which number should she write in the red circle? There are 10 fish. Fill in the numbers to find another way to make 10.